GINGER WILDHEART has confirmed that he’s up for touring with his band MUTATION this autumn, despite his ongoing hospitalisation for mental health issues. The dates, which are set to take place at the end of October and beginning of November, are in support of the trio’s recently released album Mutation III: Dark Black, which is out now on undergroove. Says Ginger, “I am fully committed to the Mutation tour in October, and all other Mutation activity to come. I consider this music a catharsis, a way of channeling the aggression and desperation that I’m currently experiencing. 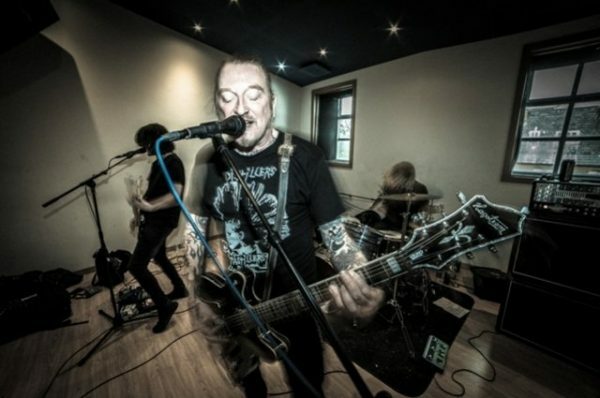 An outlet for some of Ginger’s heaviest material, Mutation first came about in 2012 and see the guitarist/vocalist joined by co-writer Scott Lee Andrews (Exit_International) and drummer Denzel (Vennart/ Young Legionnaire). Fiull dates are below…. ‹ NEW ALBUM FROM CHELSEA WOLFE!